With RotoQL Express, get access to premier DraftKings and FanDuel cheat sheets and find players to build your lineups for tonight's games. Get today’s cheat sheet with recommended players to build your lineup around, with expert analysis telling you why. 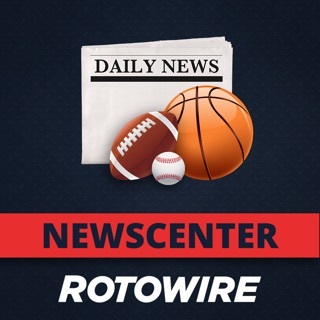 Easily add players into your lineups on mobile that will be transferred to the RotoQL desktop app. RotoQL makes playing DraftKings and FanDuel contests easier and more enjoyable. Founded by Saahil Sud (formerly known as Maxdalury), our mission is help DFS players be the best they can be through tools and lineup technology. RotoQL Express is free to download and use. We also offer an optional subscription package. Player section has been revamped! Trending is now available on Express as well as other research methods. A little weird to navigate but once you get the hang of it, it works. I played 3 games totaling 25 dollars and I won in excess of 100 dollars. I’d like to see more updates player info. Some bust players were recommended but you have to remember that this tool only gives you an advantage by providing information, stats and opinions. I like that they line up based on the players salary cap. One thing I struggled with is choosing based on salary. They use their knowledge to build a line up after you lock in a few of your “must have” players and build a line up under the salary cap. You still need to use common sense. This won’t automatically win you money but I read a review about someone playing in .25 cent leagues and that just won’t cut it. Higher buy ins have more payable places than the nickel and quarter buy ins. I used the app for several contests and didn’t even brake even. you won’t cash. For instance a player went off with 96 FPS last nite and he was not listed with 4 fires before the game. I just happen to put him in a few lineups and that was about the only one that I cashed in. Their info on players is good and navigation is easy (That’s the reason for the two stars).